Vine Hill Ranch. 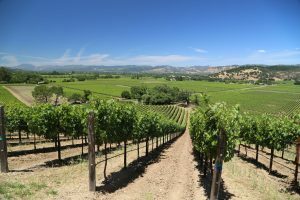 After more then ten years of tasting up and down the Napa Valley on a project that alternates between passion and obsession (The Napa Wine Project), I realized I had somehow visited with nearly 900 unique Napa based wineries and producers. In setting up my auspicious visit number 900 I carefully looked for a producer with a unique vineyard pedigree, history in the valley, perspective of the region, passion and premium wines. 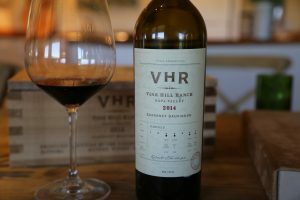 Vine Hill Ranch was on my short list of producers I had not yet visited with, who fit these qualifications. The roots of Vine Hill Ranch began in western Marin County where architect and rancher Bruce Kelham owned a several thousand acre ranch. 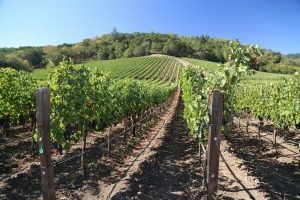 After selling his property as part of efforts by the government to create what is now the Point Reyes National Seashore, Bruce began to look at the Napa Valley because of its existing diversity in agriculture, considering two sites – one on the valley floor in Rutherford and one in Oakville. 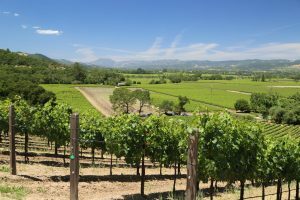 Ultimately he fell in love with the Mayacamas mountains and the varied terrain of where these mountains meet the valley floor. 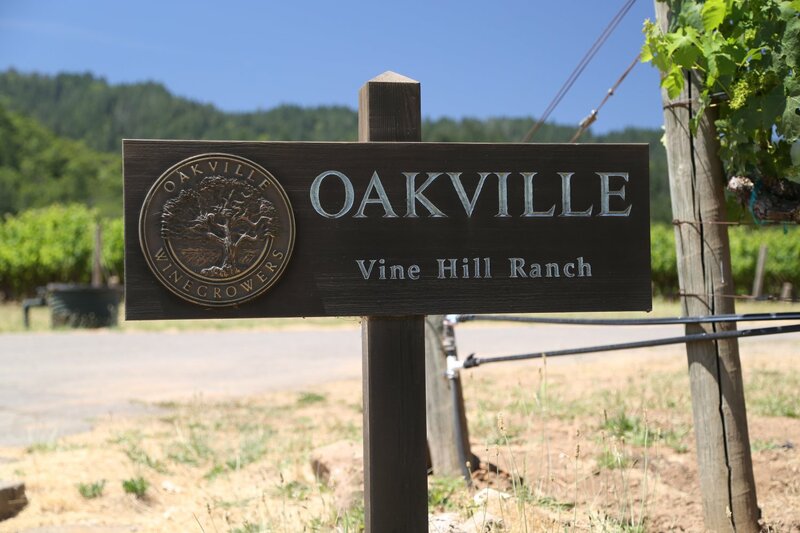 He purchased over 1,000 acres in 1959 – today the property encompasses over 400 acres in the south west corner of the Oakville appellation. 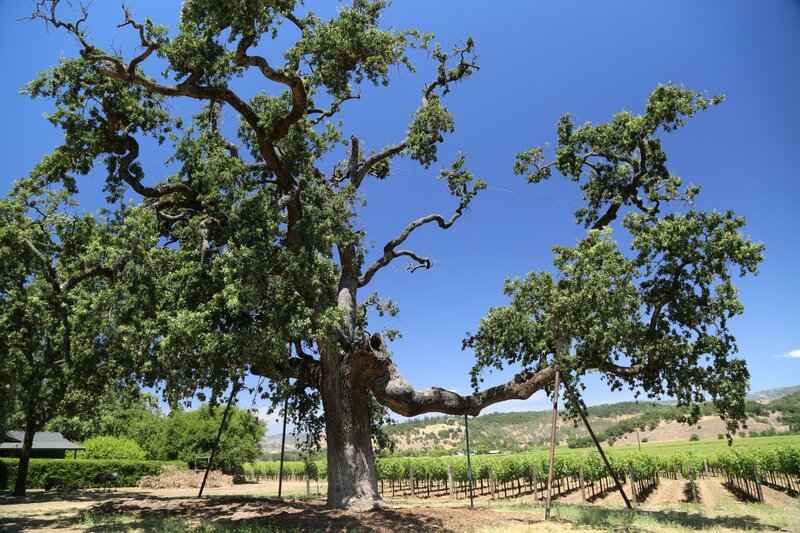 Approximately 70 acres are planted to grapes with the remaining land rugged, steep and forested. In the 1950’s the landscape of the Napa Valley was significantly different then today – at that time it was a diverse agricultural landscape. Their own ranch was used for farming hay (on the benchland soils) while walnuts were one of the primary crops on site – with walnut trees still producing through the early 1980’s. Grape varietals on site were not the same as today – at that time their vineyards were planted to Chenin Blanc, Chardonnay, Sauvignon Blanc and Pinot Noir. It was a time when Chardonnay fetched a higher price per ton then Cabernet Sauvignon. And this is not exactly a part of the valley ideally suited to these cooler weather preferring varietals. 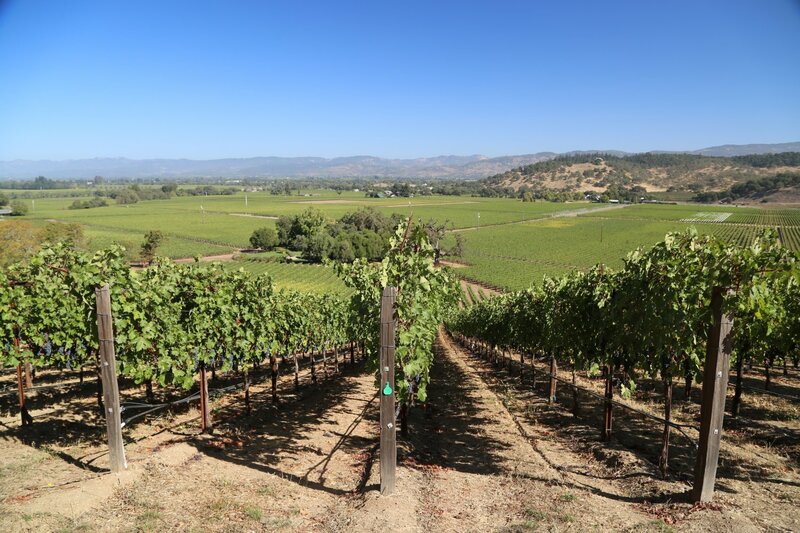 Bruce’s daughter Alexandra and her husband Bob Phillips moved to the property in 1978 – raising their family here, managing the ranch and becoming grape growers. Today their son Bruce and his two sisters, Alexandra and Katharine are partners in Vine Hill Ranch. 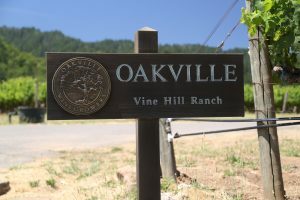 By the mid 1980s a shift in consciousness was beginning in the Napa Valley – and Bob and Vine Hill Ranch played an important role in this shift. This was a change from a commodity mindset to one of quality and site specific farming. It was also tied into the changing dynamic of up until that time was a fairly uneducated consumer market and a shift in consumer trends towards higher quality wines. The synergy between growers and vintners today certainly did not exist back then. And the natural world caused this shift to accelerate to a great extent – Bruce recalls the harvest of 1985 when they first noticed six vines showing symptoms of being sick; by the next year the results of Phylloxera had spread throughout their own vineyards as well as continuing to spread throughout the valley. There was a shift in ownership in the valley at this time, coinciding with the devastating setbacks of Phylloxera but also with economic factors. With significant replants needing to happen on the ranch, the Phillips’ invested heavily over two years in learning more about their property, both above ground and below. 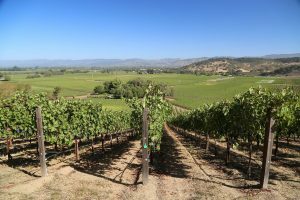 They worked with UC Davis, brought in noted vintner Tony Soter and dug numerous soil pits in various parts of the vineyard to better understand their soil architecture. They identified various unique vineyard sites (now 7 vineyard blocks) and further divided these into sub blocks. 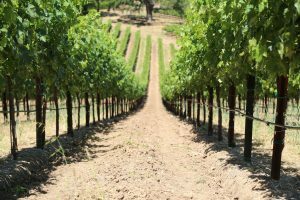 By 1991 they had completely redeveloped their vineyard map – changing the density of the plantings, rootstock, varietal and clonal selections and modified their canopy management. 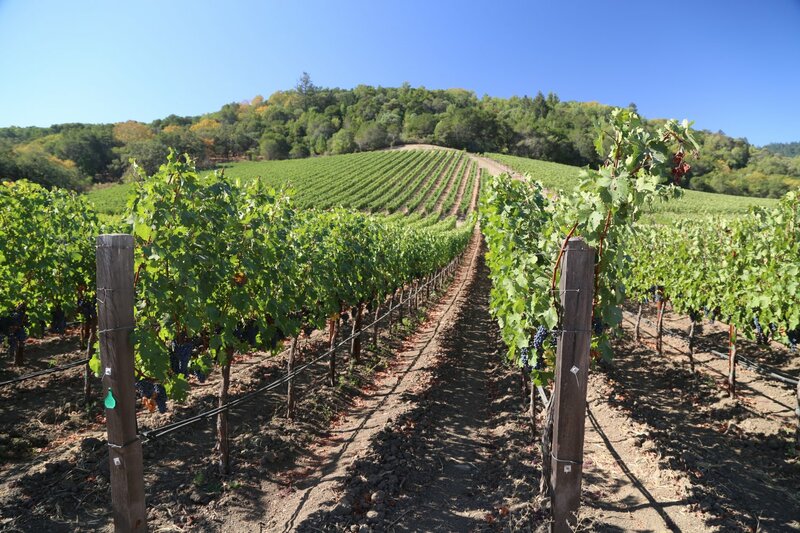 It is rather remarkable that a significant amount of Napa’s vineyards (up to 2/3) were replanted between the 1985 and 1993 and the change from quantity production to one of a quality mindset happened so quickly. Their vineyard is dry farmed and very carefully managed. 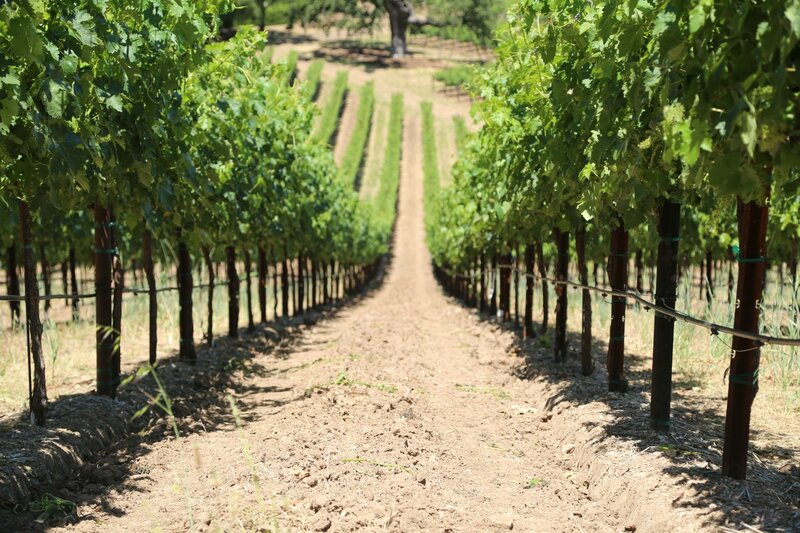 They have a zero virus tolerance – if a vine shows symptoms of a virus, it is removed and then eventually replanted with a young vine. 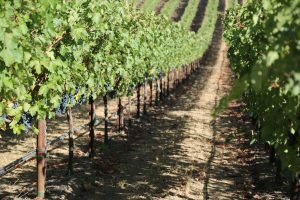 The focus is on maintaining a healthy vineyard environment – with this careful attention to their health hopefully increasing the the length of their production. Over time they formed partnerships to provide grapes to some of Napa’s premier producers including Araujo Estate, Cakebread Cellars (they produce a Vine Hill Ranch vineyard designate), BOND Estates, Lail Vineyards and Robert Mondavi Winery among others. Bruce reflects on Napa Valley with a sense of pride of how far it has come just in his own lifetime. 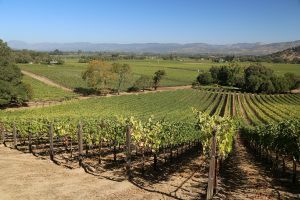 And also it’s prized proximity to UC Davis and other universities – schools that have built strong viticulture and oenology programs. Today the valley attracts people from around the world who want to focus on site based wines, individuals who are constantly testing and embracing innovation and the availability of wine making and vineyard practices we did not have at our disposal simply 30 years ago. Bruce remembers walking the vineyard in 1998 with his father and Bob posed the following question, “how much of the quality and characteristics of wine is related to our particular site and how much to the talents of the winemaker”. This wasn’t a question Bruce could necessarily answer at the time – however with a number of producers sourcing grapes from their property they soon created an innovative tasting to help answer this question. Wines soured from their vineyard (made by Napa producers) were placed on tables within the various blocks that they were sourced from. This very unique tasting made them realize the dramatic differences in terroir and its effect on the wines simply based on which part of their property the grapes were sourced from. A ‘vineyard toolbox’ as Bruce calls it. Bob’s focus had always been on growing grapes rather then producing wines from the property. However Bruce was inspired by this tasting and eventually presented the idea of making their own wines to the family in 2000. Their first release was in 2008 – approximately 300 cases which has since grown to slightly over 800 cases with the 2014 vintage. Looking for a winemaker who would respect the characteristics of their site while highlighting the nuances of each vintage and not put a winemaker’s ‘stylized stamp’ on the wine, they eventually chose well respected winemaker Françoise Peschon, noted for her work at Araujo Estate (now Eisele Vineyard). Arguably one of the most highly sought after parts of the ranch is Block 1. This elevated block is on bench land soils, elevated with vines growing on slopes up to 26 degrees. The original plantings here were on hand dug terraces. After a redevelopment in 1990 there are no longer terraces – rather the vines follow the slope directly down to the valley floor. Also noteworthy is BOND Estates first wine, Vecina was sourced from this particular block. And there is a difference in character of the grapes from the lower sites to the upper sites. Grapes from the lower deeper soils often produce brighter fruit flavors with fine tannins whereas the higher slopes produce fruit that tends to be more earthy and even have a garrigue quality (chaparral). Each year grapes from seven blocks are harvested and vinified separately (using indigenous yeasts) with the final blend resulting from a barrel selection. The focus of Vine Hill Ranch is on one wine each year, a Cabernet Sauvignon. The labels on each vintage are altered to reflect several important factors in the wine. 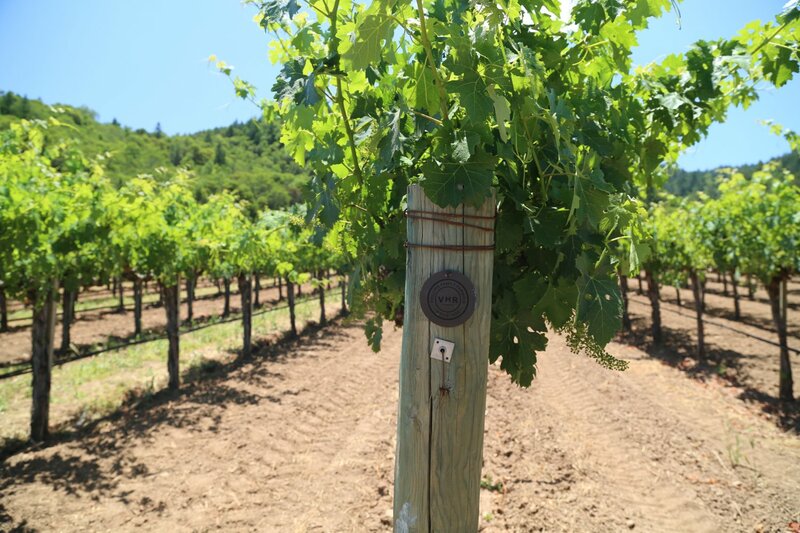 All seven blocks are listed but the blocks used in that year’s vintage have holes punched out on the label, the number of vines in each block are listed as is the harvest date and the yield in tons/acre. 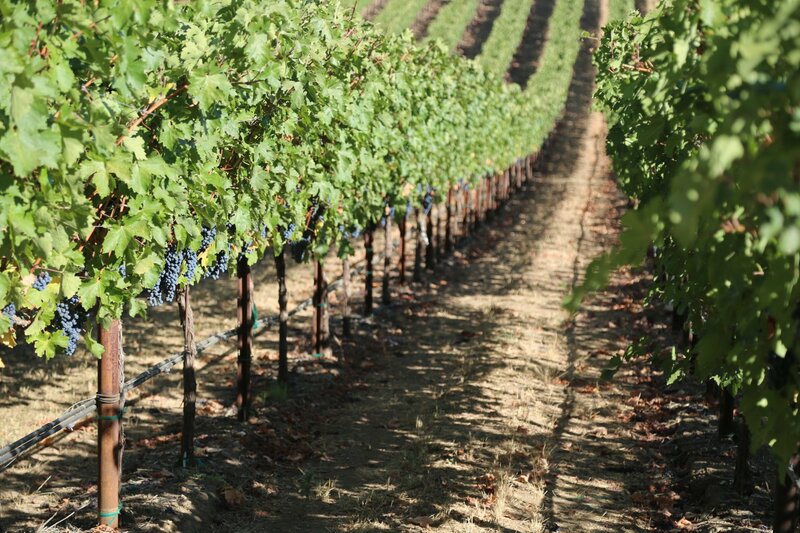 History of grapes growing on the ranch dates back to the 1860’s. Bruce has a number of important documents relating to the property including an 1885 document that was filled out in pencil by Morgan Whitton, prior owner of the property. One note catches the eye when reviewing this particular document – in pencil at the top of the paper, Mr. Whitton has simply written “12 acres, good vineyards“. 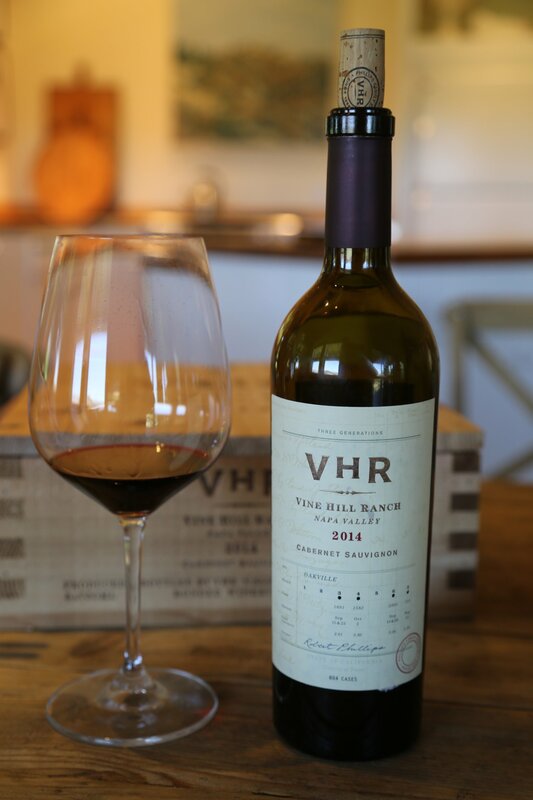 The 2014 Vine Hill Ranch Cabernet Sauvignon is noticeably dark purple/red in the glass. One certainly notices the dark color but more so the aromas. These are generous and rich aromatics; a bowl of ripe blackberries, mocha, brown chocolate even a mineral note. As it breathes it shows more of a floral component – perhaps dried rose petals. The palate is voluptuous, layered yet supple in its feel. Flavors of ripe plum, black cherry and blackberry show. The slightly earthy and chewy tannins are soft spoken – loud enough to let you know they are there but smooth enough to not detract from it’s enjoyment. Bruce calls the 2014 a sleeper vintage after the well regarded 2012 vintage and the more showy 2013 vintage. 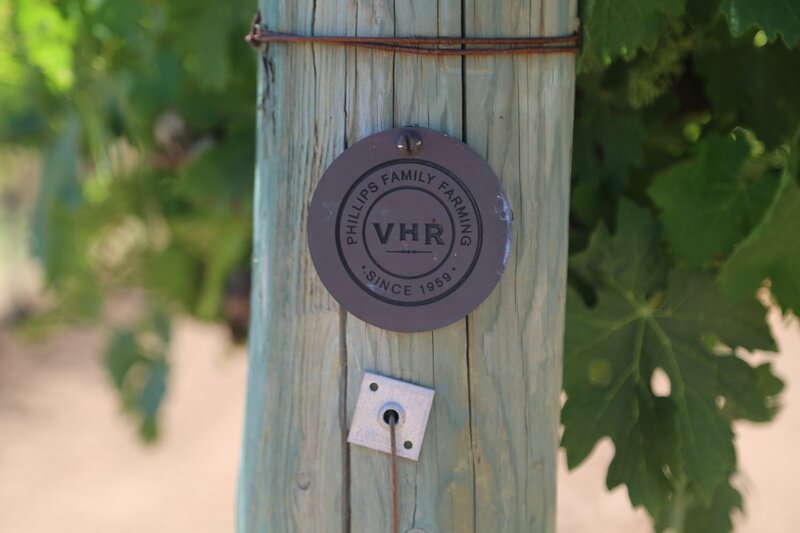 Despite a lengthy history in the valley and the valuable contributions to the industry that the Phillips have made from a farming perspective, their wines tend to be under the radar – and we suspect that is by design and also fits the personality of the family – preferring to stay more in the background – simply letting their remarkable terroir speak for itself. The wines are selectively distributed Internationally including Japan, Taiwan, Denmark and Switzerland. Domestic outlets are mostly focused on restaurants. 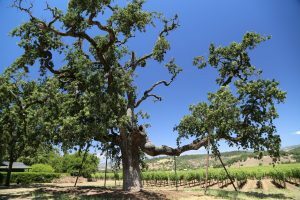 Locally they have good placement in a variety of restaurants including Auberge du Soleil, the French Laundry and Redd – and 750 Wines in St. Helena. Dave, this is a fascinating story. Vine Hill Ranch is going on my must-see-next-time list! Though my all-time favorite varietal is pinot noir, I do appreciate the occasional cab. Like many producers in the Napa Valley, VHR is not setup to see visitors but you can certainly find their wines online. Thanks Jean – we do have some decent Pinot Noir producers in the southern part of the Napa Valley. 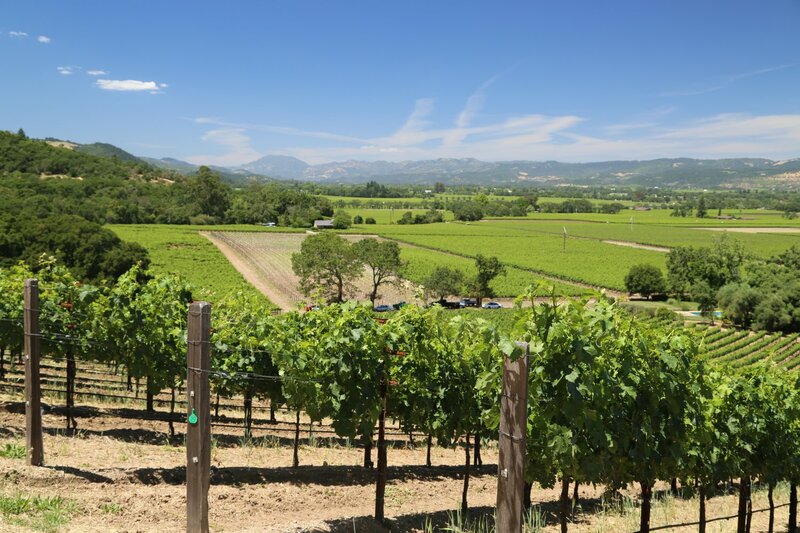 Although that varietal does not get as much ‘play’ here in Napa as Cabernet Sauvignon 🙂 If you visit, you will want to focus your efforts in the southern part of the valley (where the cooler weather varietals grow best including Pinot Noir). This would be in the Napa Carneros region.